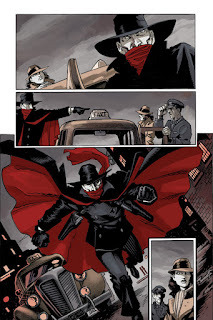 Matt Wagner must miss something about The Shadow because he's returning to Dynamite to write and illustrate and all-new tale that goes in a bold new direction. His new series will be called The Death of Margo Lane when it hits stores June 1 and the six-issue miniseries will also feature colors by his son Brennan Wagner. 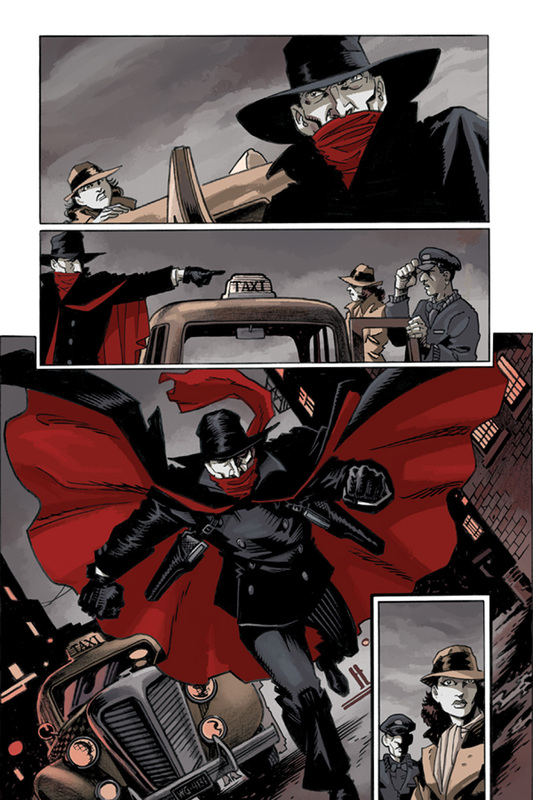 "I've been a huge fan of The Shadow since my early teens and I just had to come back to the character by both writing and drawing this exciting and critical storyline" says Matt Wagner. 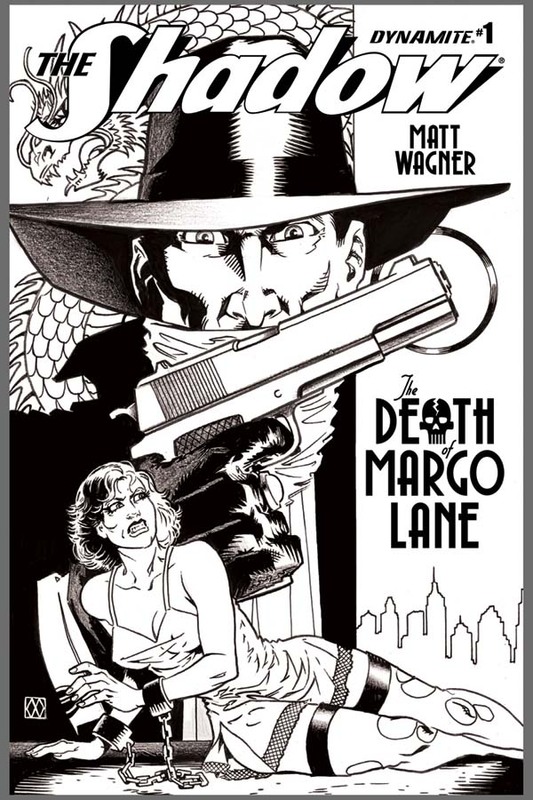 "The Death of Margo Lane is a series that will challenge The Shadow on many levels… and leave him changed in ways he had never expected." 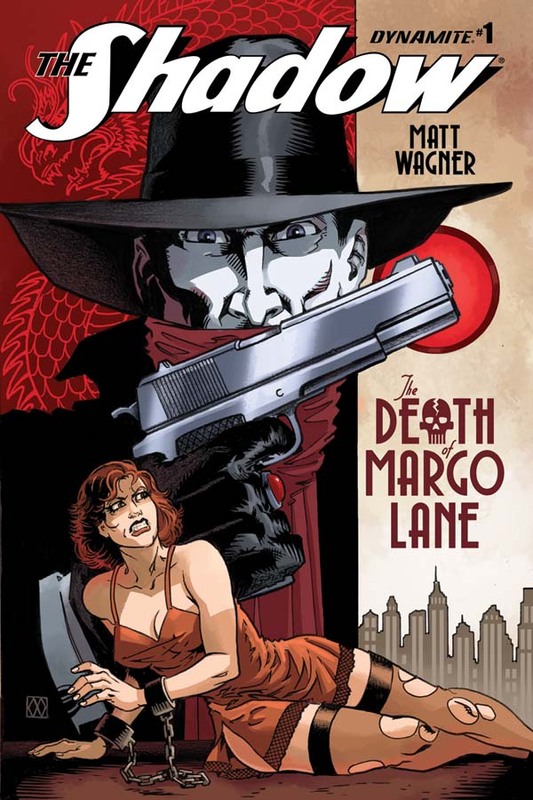 For years, Margo Lane has served as The Shadow's faithful "friend and companion," the closest and most intimate of all his many agents. But when will that proximity to The Shadow's dark and violent world take its ultimate toll on her? And what effect will his lover's loss have on the driven and brooding Master of Darkness? This series presents a powerful and resonant tale in the sort of pulse-pounding pulp style that only Matt Wagner could deliver! "Working with Matt remains a high water mark in my career and with each and every project we work on together, my respect and admiration for his skills as a storyteller grows beyond bounds I thought possible," says Senior Editor Joseph Rybandt. "Working in pure pulp mode, with the definitive pulp character, Matt is a force of nature." "We've worked with Matt as a writer on quite a few great series at Dynamite, and he's graced series with covers," says Dynamite CEO/Publisher Nick Barrucci. "This is the first time we have been fortunate enough to have Matt both write AND draw a series at Dynamite, making this one of the most important books that we will have published to date." 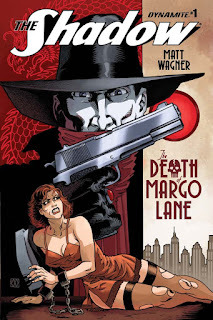 MATT WAGNER RETURNS TO THE SHADOWWITH THE DEATH OF MARGO LANE! Wagner Writes AND Draws All-New Five-Issue Series! 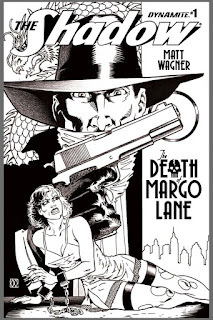 MARCH 17, MOUNT LAUREL, NJ: Legendary creator Matt Wagner returns to both write and draw an all-new tale for the first and most famous of all pulp heroes, The Shadow! Following his critically-acclaimed work on The Shadow: Year One and Grendel vs. The Shadow, Wagner once again lends his masterful talents to unveil "what evil lurks in the hearts of men." 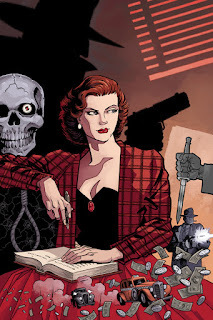 In a storyline that is sure to rock The Shadow's relentless crusade against crime, Dynamite is proud to bring readers The Death of Margo Lane - a six-issue series masterfully written and drawn by Wagner and colored by his son, Brennan Wagner, a rapidly rising talent in today's industry. 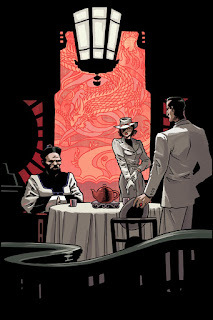 For years, Margo Lane has served as The Shadow's faithful "friend and companion", the closest and most intimate of all his many agents. But when will that proximity to The Shadow's dark and violent world take its ultimate toll on her? And what effect will his lover's loss have on the driven and brooding Master of Darkness? This series presents a powerful and resonant tale in the sort of pulse-pounding pulp style that only Matt Wagner could deliver! In addition to the beautifully drawn cover to the first issue, qualifying retailers will be eligible for a special classic crime noir black-and-white variant version. Details available in the April dated issue of Diamond's Previews catalog. Look for the premiere issue of this five-issue series on June 1st at your local comic book retailer!